I painted this in the rain at Craig Sole Designs in Overland Park, Kansas. The reflection on the wet rock patio drew me to the scene. It was a calming and relaxed experience. 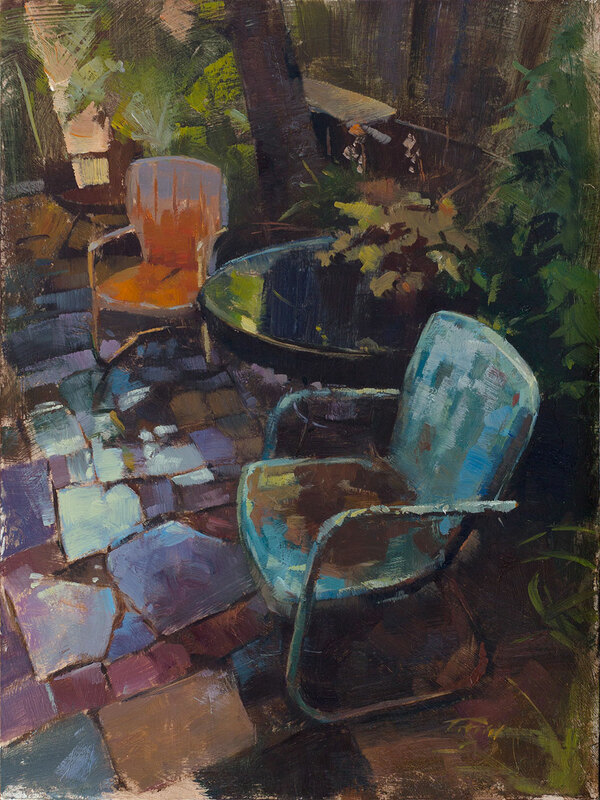 The piece won the Stems Plein Air Special Painting Challenge in 2015, and is featured in the 2018 June/July issue of Plein Air Magazine, as part of a feature article on my journey as a plein air painter.